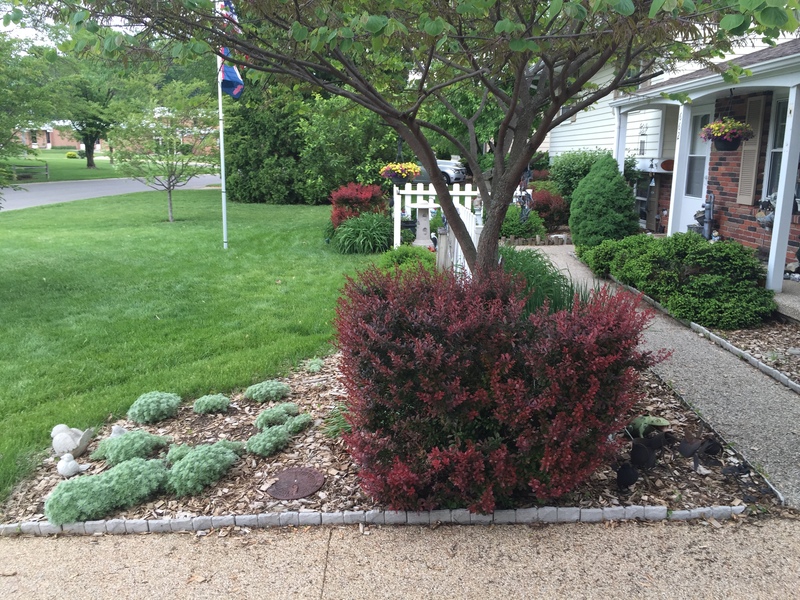 “Our 20 year old landscape has seen its better days, and we are ready for something new”, Mrs. Cramer explained over the phone. 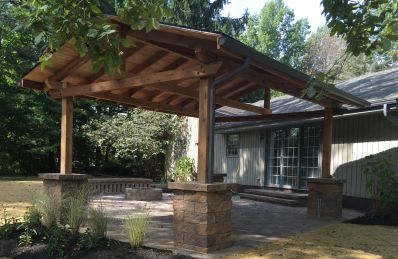 She went on to explain that she and her husband had been listening to my weekly radio discussion about landscaping and how we worked with customers to develop unique and captivating landscapes. We scheduled the initial meeting to look at things in person. The Cramers had done their homework, going to a local nursery and compiling a list of some things that they liked and disliked. 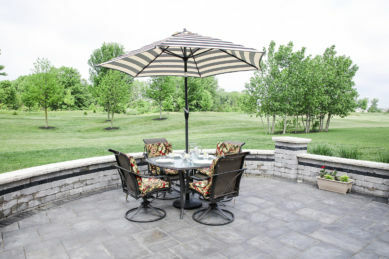 However, they were adamant that they wanted to rely on our expertise about which plants should go where and also ideas of other plants not already on their list that would complement their home. We walked the property and identified all the areas that they wanted updated (almost everything), then we discussed what they would realistically need to invest in the project to do everything they wanted. Even though they thought they may have to do the project in a couple of phases, they wanted us to do a master plan for the property, then propose it in a couple of phases that made sense based on their budget and priorities. We collected a design deposit, which got design phase going and was eventually applied to the work we performed. We were both excited to witness the transformation! 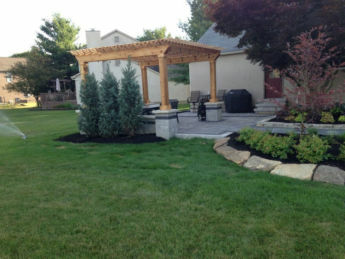 When we returned a couple of weeks later with our professionally designed landscape plan, plant pictures, and proposal, our clients were so impressed, they decided to move forward with the entire project at once! Fast forward to when our crews were working on the project. 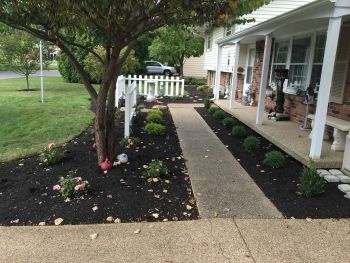 The old trees and shrubs were coming out, all the new plant material was going in, and fresh mulch was starting to be spread. 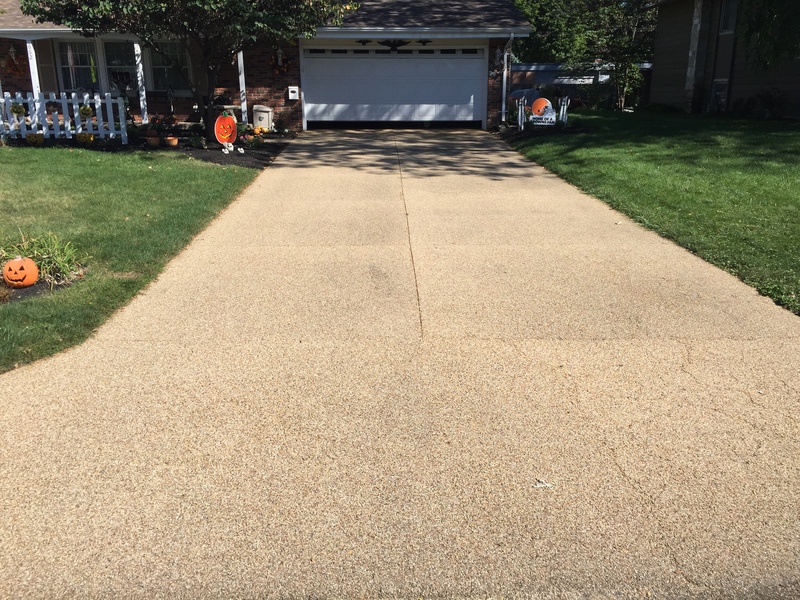 Our crew leader was walking the property with the homeowners explaining everything that was being done, and one of them mentioned that their next project would be to replace their old, cracked driveway. 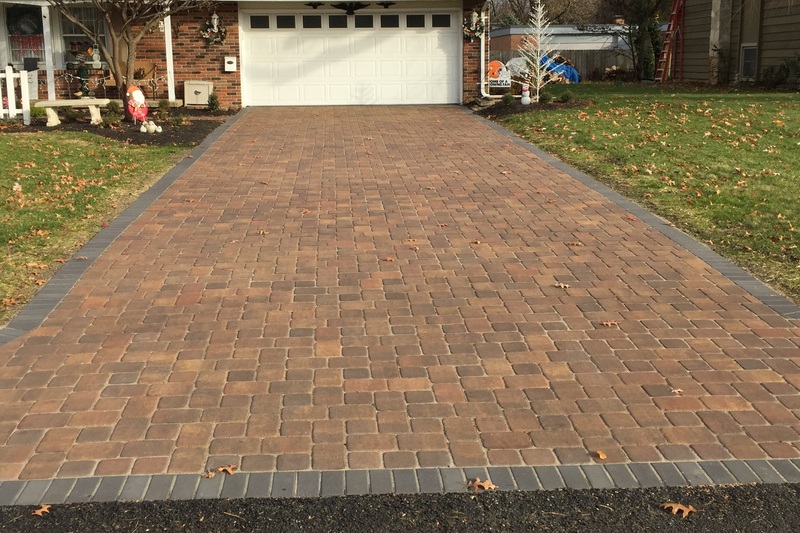 Our crew leader mentioned some recent paver driveways that we had installed and the incredible impact it had on the curb appeal of the home! 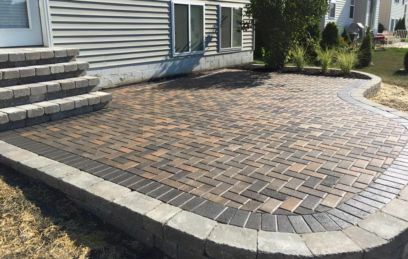 The Cramer’s loved the idea, and within a few days, we were meeting again to discuss how well the landscaping project went, and also picking out pavers and discussing a complete overhaul of their driveway and sidewalk! 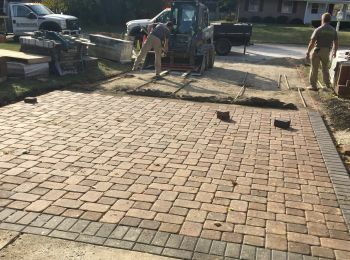 After working through the collaborative process, they were very pleased with how affordable the paver driveway was, especially when compared to how much better it looked than it would look than poured concrete. Once the driveway project started, our professional team completed the project in just over week, including removing the old concrete, installing new base material, laying all the pavers which included a beautiful color combination that “popped” with the charcoal soldier course, then sealing the pavers to protect them from salt, sun, and fading. It was an incredible transformation and they were fun clients to work with! 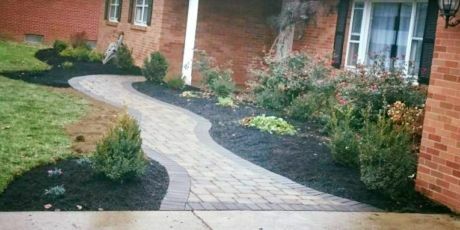 Is your landscaping tired and in need of a refresh? 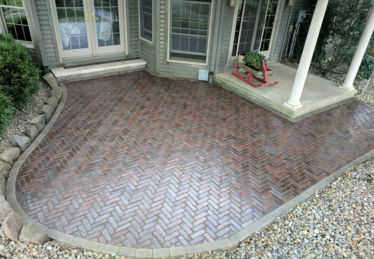 Would a paver driveway or entryway completely transform your curb appeal? Our design and construction teams will make the process painless! 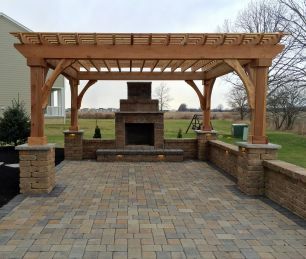 "We so appreciated the professionalism, thoroughness and attention through the planning phases. We never felt any pressure…the final decisions were always ours to make. All the ProScape project workers were amazing too. Everyone was so friendly and worked so hard, and there was never any question about their knowledge and expertise. 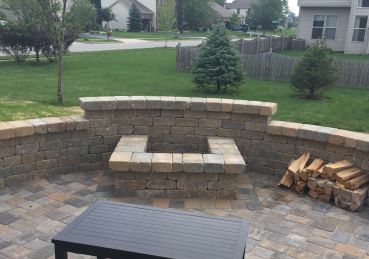 We give everyone at ProScape our highest praise and recommendation!"